Students asked for new socks. In addition, each grade level was in charge of one other item, such as toothpaste or toothbrushes. 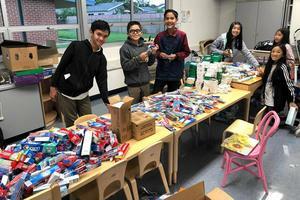 The project’s initial goal was to gather 500 pairs of socks. The students promoted the project by making posters and announcements to involve the whole school in the drive. 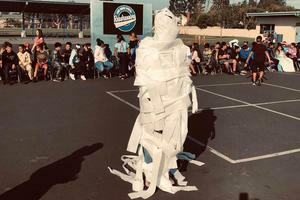 Progress was calculated every Friday during the weekly spirit rally, where students would unveil how many were collected for the week. Thanks to the incredible generosity of the Lord Baden-Powell families, the students reached the goal for the whole month during the first week! 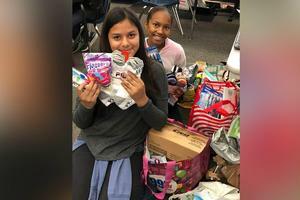 Students did not stop there: the goal was raised to 1,000 pairs of socks. 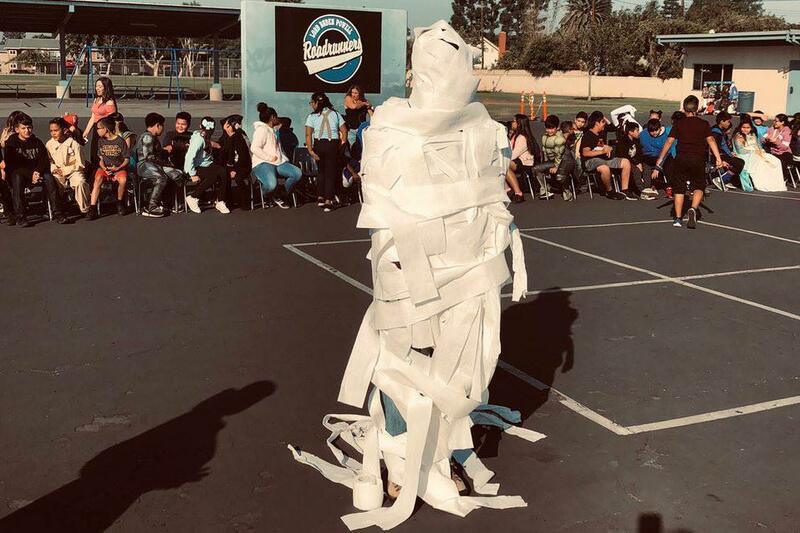 Student council challenged the students and staff that they would get to mummify Mr. Aguila, the school principal, and student council president Jonathan on Halloween if they reached the new goal. 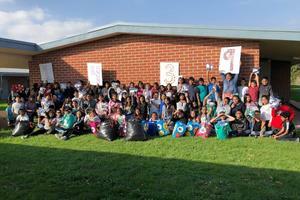 By the time the project was over, 1,400 pairs of socks were collected! Sixth-grade students assembled over 500 gallon-sized bags filled with socks and toiletries for the homeless. The week before Thanksgiving, the bags were taken to Courtyard Homeless shelter in Santa Ana. Everyone at the shelter was moved by the generosity of the students and staff at Baden-Powell. Thank you to Lord Baden-Powell students and staff for their kindness to each other, and to their community.